Is there any audio recordings available that I can listen to? Yes, here is my own final studio test. It compares my ultra-portable recording setup relying on a small Dictaphone and the myNoise microphones, with my professional field recording setup. Various acoustic instruments have been recorded in order to cover most of the audible spectrum, in a very quiet recording studio. At the end, the recording becomes silent, so one can hear the self-noise present in each recording. The microphones were mounted one on top of the other, with each Left-Right pair spaced 20cm apart. The Audio Technica AT3032 are renowned among field recordists for being among the quietest microphones available. As you will hear, both recordings are almost indistinguishable, meaning that my ultra-portable recording setup brilliantly passed the test. The FR-2LE+AT3032 combo is slightly quieter though, but so are the FR-2LE inputs, which are 12dB quieter than the ICD-SX1000. 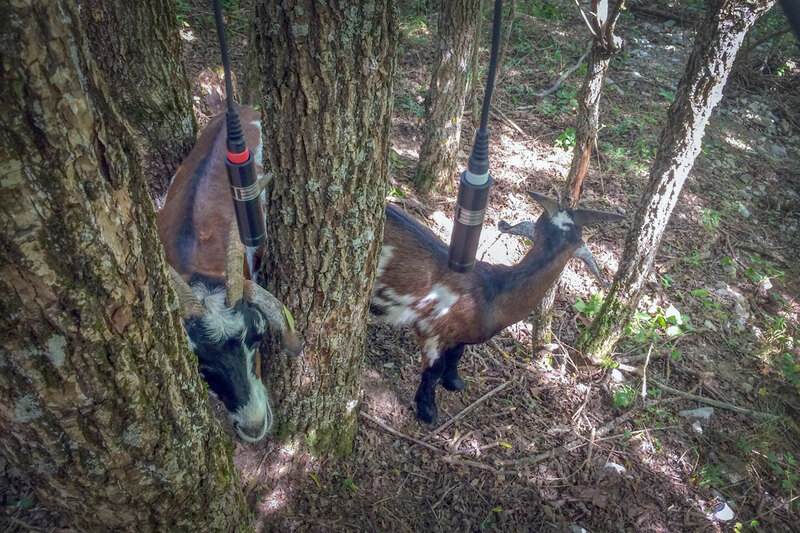 myNoise microphones are lightweight and easy to hang by their wiring, often from the lowest branches of a tree when I am in the field. Using long cables, I can then sit and monitor the recorded sound from a distance, and not interfere with the recording itself. Any tips I should remember when using your microphones? The best stereo recordings for headphone playback will be achieved by spacing the two microphones 20cm apart. You can try putting some sound absorbing objects in between to increase the stereo separation. If you are in the field, try placing the microphones on each side of a small tree trunk, on the ground, pointing upwards. The microphones are provided with windshields made of acoustic foam. These windshields are quite large compared to the size of the microphone, and people will probably try fitting the microphones into the windshield as deeply as possible. Don't do that! Leave some air between the capsule and the foam: perhaps about 1cm. This air will act as a chamber/pressure buffer, and will increase the efficiency of the windshield in blocking wind noises. My tests have shown that doing this results in the performance obtained by a furry windshield, with less absorption in the high frequency range. 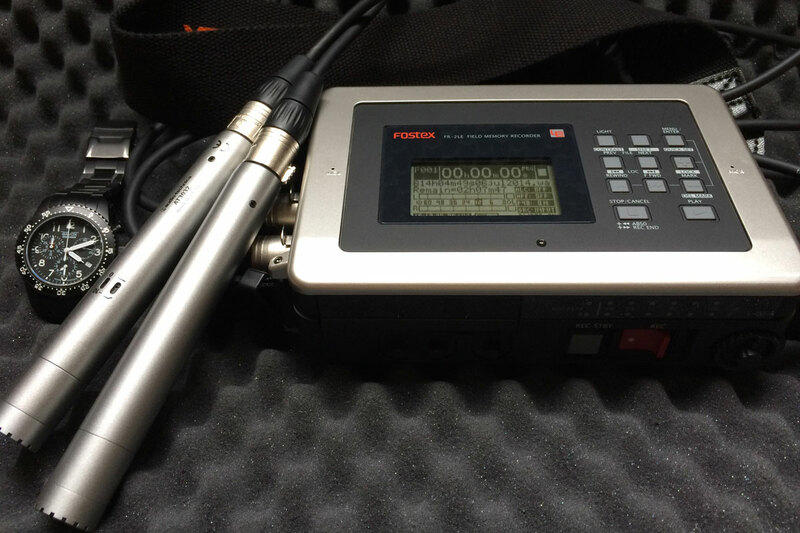 Which portable digital audio recorder is the best to get? Nowadays, preamplifiers can be very transparent. You should then choose an audio recorder that has the lowest Equivalent Input Noise (EIN). 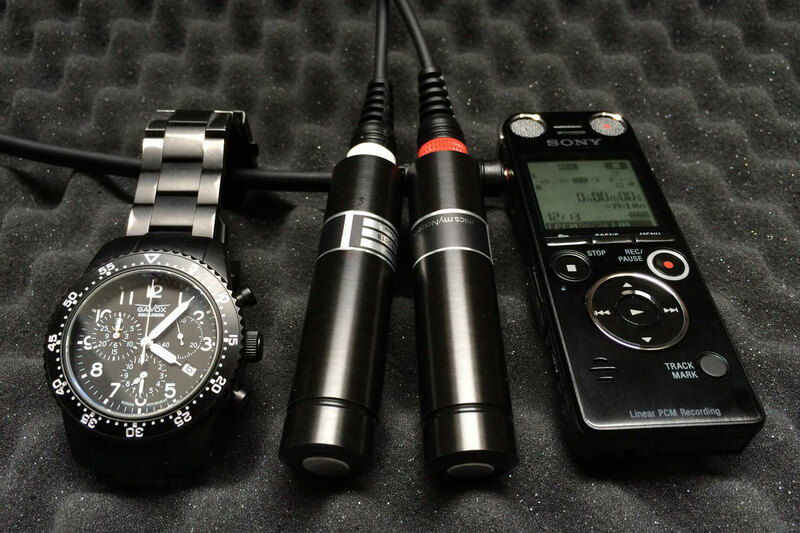 This excellent resource compares them all: the Dictaphones and the bigger field recorders. Among the ultra-portable Dictaphones, the Sony ICD-SX1000 and Olympus LS-3/5/7/10/12/14 are very good performers. Among the larger recorders, but still pocket-size, the Sony PCM-M10 is currently a very good choice, at an affordable price. Can I get these microphones for free? Everyone buying a pair of myNoise microphones, can share their recordings with me. If you have recorded some beautiful sounds and if I'd like to use for the website, I will consider refunding your purchase, or part of it. Isn't that nice?